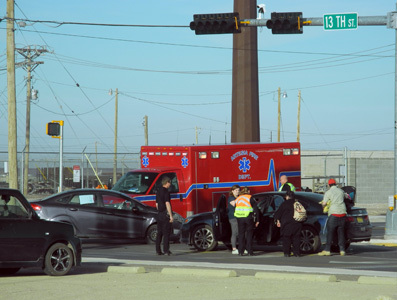 Artesia Police Department officers and EMS work the scene of a two-vehicle accident that occurred just before 4 p.m. Thursday at the intersection of 13th Street and Richey Avenue. According to the APD, one citation was issued and no patients were transported from the scene. One driver was arrested on a warrant for an unrelated crime.